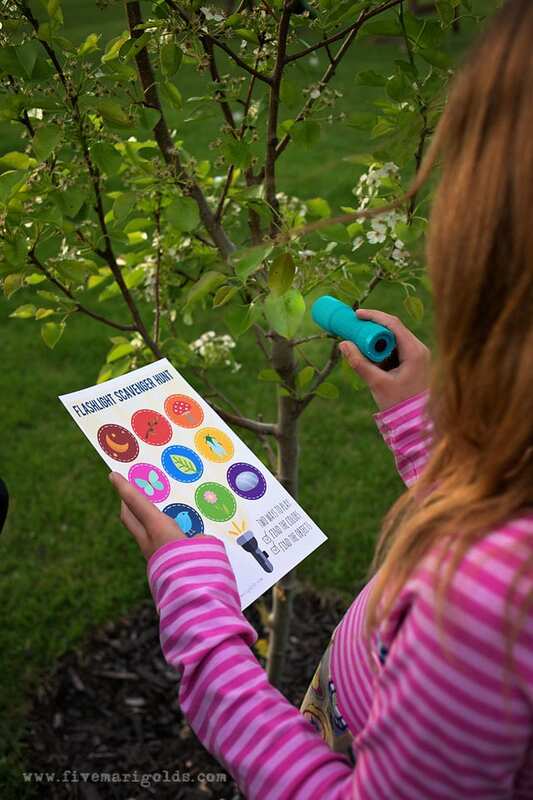 Nighttime Nature Scavenger Hunt – Great Camping Party Activity! Spring has officially sprung here in the Midwest, which means warmer temps, longer days and more time living outdoors. It also means kids who are bursting with energy until the minute their heads hit hit their pillows. 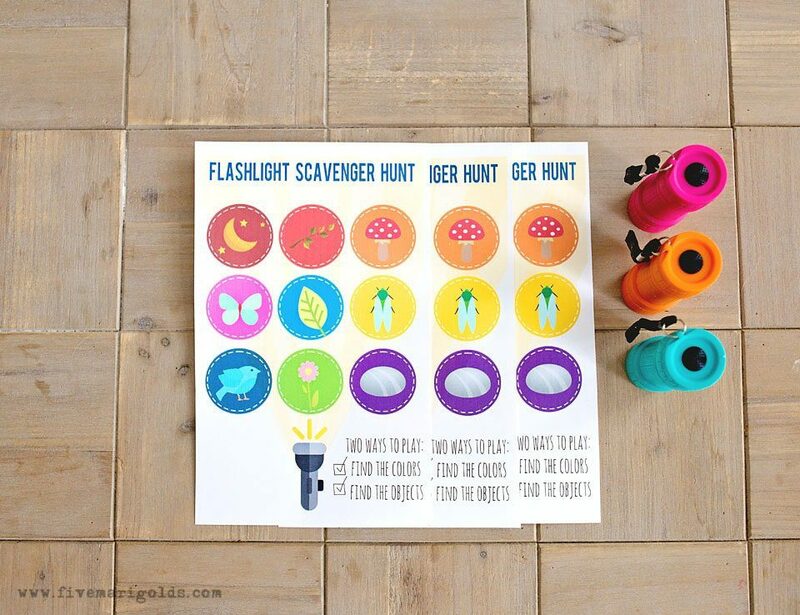 Today I’m excited to share our latest outdoor adventure – a flashlight scavenger hunt. 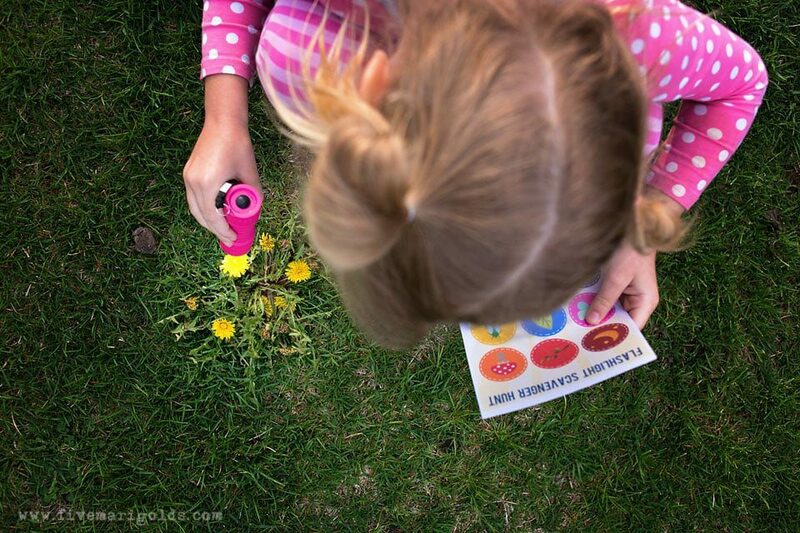 I wanted to create a fun activity that my kids, ages 5-10 would all enjoy together. 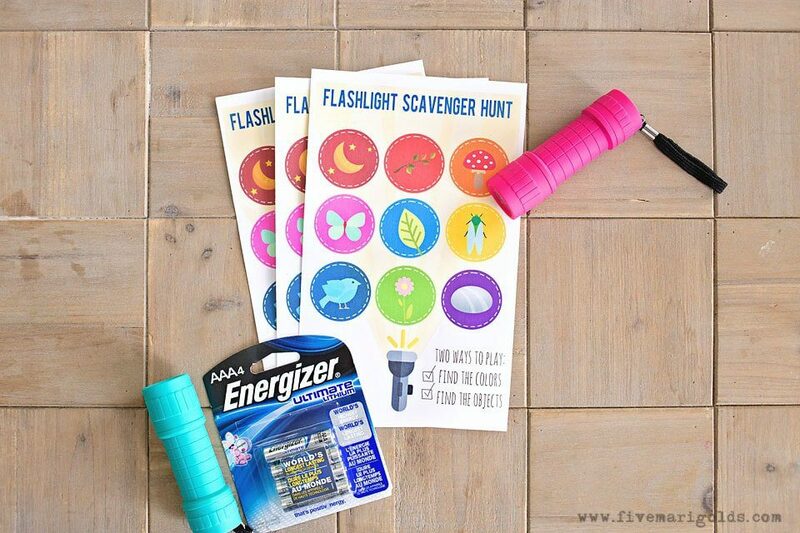 I came up with this flashlight scavenger hunt that would get their bodies moving, their brains working, and encourage them to explore the world around them. 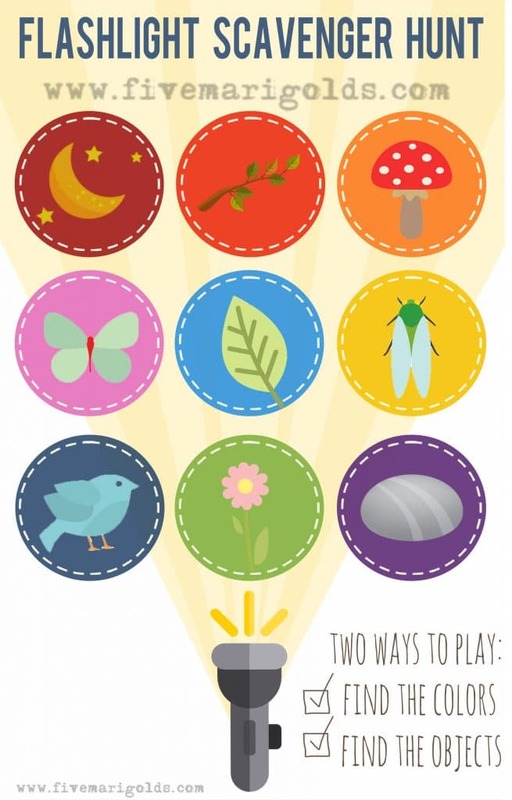 This activity is all of those things, plus it is free! 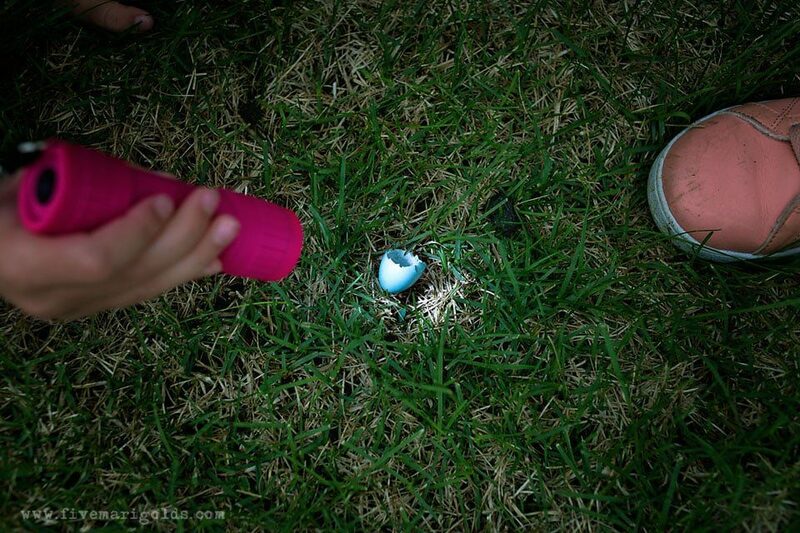 So, around sunset, the kids grab their little flashlights and head out. 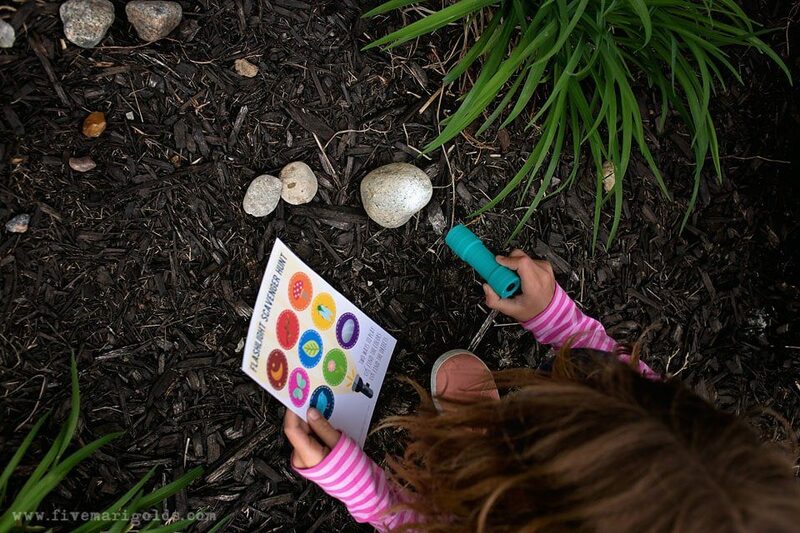 It doesn’t matter if you’re going on a nature walk or just exploring your own backyard. This free printable works anywhere. 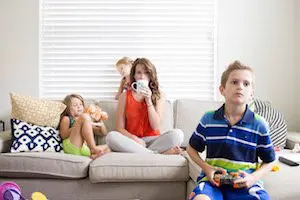 You might even be surprised at the extra treasures you find when you’re really looking! You can search for the objects shown, and you can also look for times in the colors shown. It’s entertaining enough for my ten year old, and easy enough for my five year old to participate in independently. 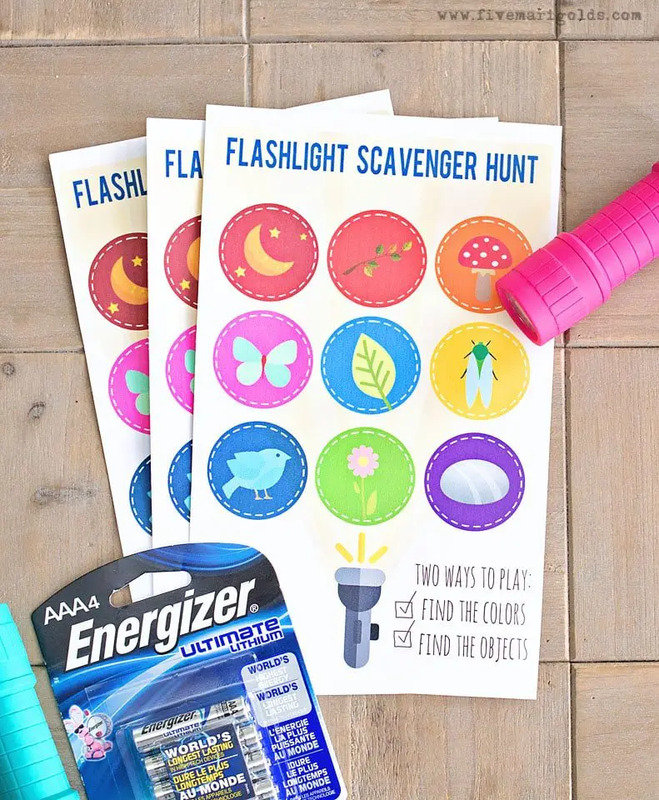 The only supplies you’ll need are a printer to print off your free flashlight scavenger hunt printable, flashlights, and some good batteries. We have been using Energizer® Ultimate Lithium™ batteries because they have a 20 degree shelf life. That, and they perform in extreme temperatures -40F to 140F – which is important here in the Midwest! This would be a fun activity for a camping trip, sleepovers, or just everyday entertainment over summer vacation. Good news. I’m making this printable available to my readers for free! If you’re a fan of this, you’ll also want to check out my full library of free printables. 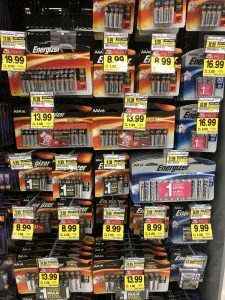 Whether you’re prepping for your flashlight scavenger hunt or just replacing the batteries in your remote, be sure to grab Energizer® Ultimate Lithium™ batteries at your local Jewel-Osco / Albertsons store!